Recent developments in the investigation of Right-wing activist Vipan Sharma's murder have revealed that it was not a radically sponsored terrorist crime, as told by Punjab DGP Suresh Verma. 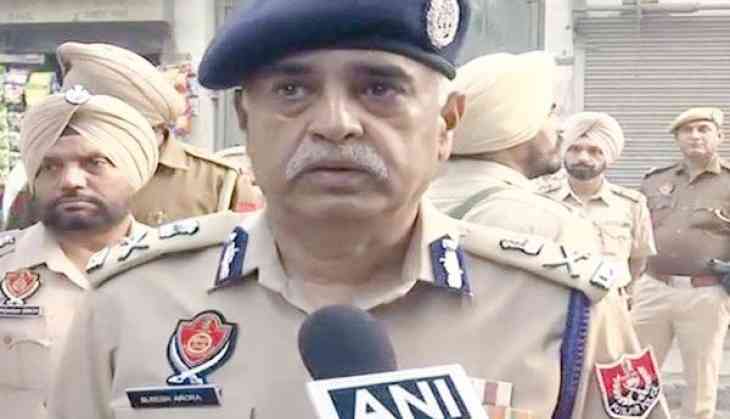 "In the investigation conducted so far, one thing is clear- that it is not a radically sponsored terrorist crime," DGP Verma told ANI, who visited the site of murder in Amritsar, and met with the family of the victim on Saturday. Verma also informed that they have identified one suspect. With increasing incidents of targeted killings, the DGP has also asked Amritsar Police Commissioner for tightening the rules. "I have asked Amritsar Police Commissioner that extra force is required in Amritsar. Mobile menace is definitely a challenge to deal with," Verma said, adding the authorities are also strengthening the jail department. Verma further stressed on enactment of Punjab Control of Organised Crime Act (PCOCA) for tackling such crimes. "I have always said that to deal with such crimes, there is need for stricter laws," Verma said. A day ago, Chief Minister Capt Amarinder Singh directed the cabinet sub-committee to expedite the work on the act, which is likely to be brought by the end of this month. Hindu Sangharsh Sena district president Vipan Sharma was shot by two bike-borne men in Bharatnagar area of Amritsar on Monday. On Tuesday, Amritsar Police formed a three-member Special Investigation Team (SIT) to probe Sharma's death.